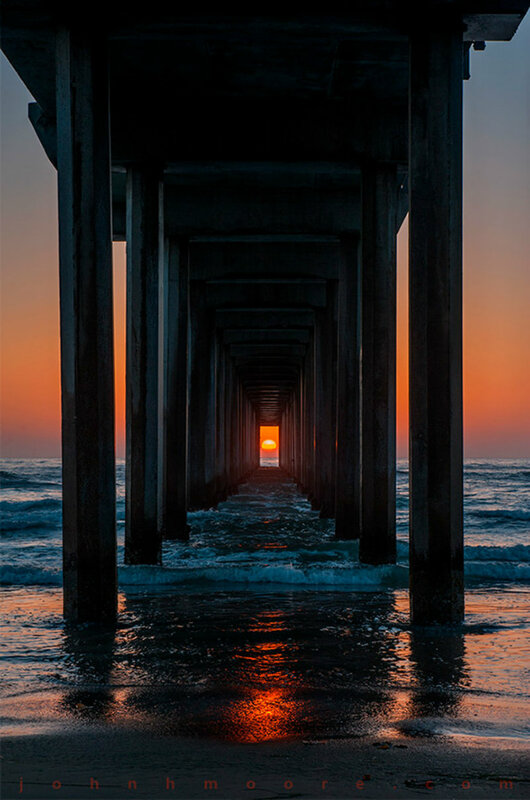 This stunning sunset photo, taken at Scripps pier in La Jolla, California by photographer John H. Moore, is only possible twice a year. Photographers crowd under the pier to capture the moment when the sun aligns perfectly with the pier’s supports. The alignment times vary from year to year, but they tend to fall around early May and early-mid August.